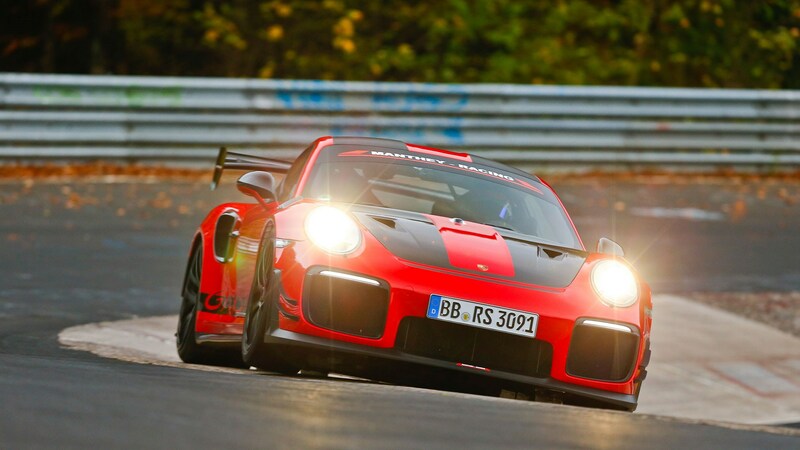 Porsche has just broken another record at the Nordschleife, but this time it wasnt with the destricted 919 Evo – instead it used a tweaked version of its 911 GT2 RS, already the fastest production 911 you can buy. You can watch the lap in the video at the bottom of the page. Called the 911 GTS R2 MR, the fettled turbo RS set a time of 6min 40.3sec to become the fastest road-legal production car around the 'Green Hell’. As for the name? 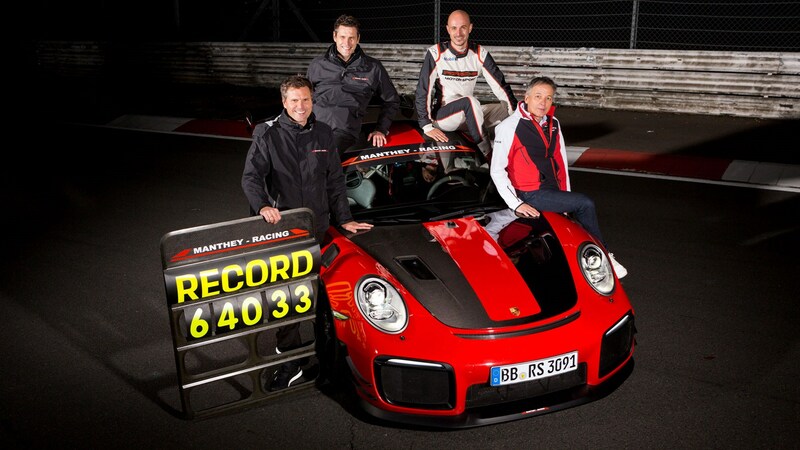 Those last two letters stand for Manthey Racing, because Porsche used expertise from one of its most successful racing partners to make the GT2 RS even faster. It took one run for development engineer Lars Kern to set a time of 6min 40.3sec; for some context, that’s about four seconds faster than quickest production car around the circuit, the Lamborghini SVJ. And for a little more context, Porsche’s own 919 Evo hybrid has the overall record at 5min 19.546sec, around a minute and a half quicker! How is this better than the GT2 RS then? Can't really answer that one, sorry. Stuttgart has been pretty opaque about the changes Manthey Racing engineers have brought to the top 911 turbo, but does say customers will be able to order a nigh on identical car from Manthey Racing. 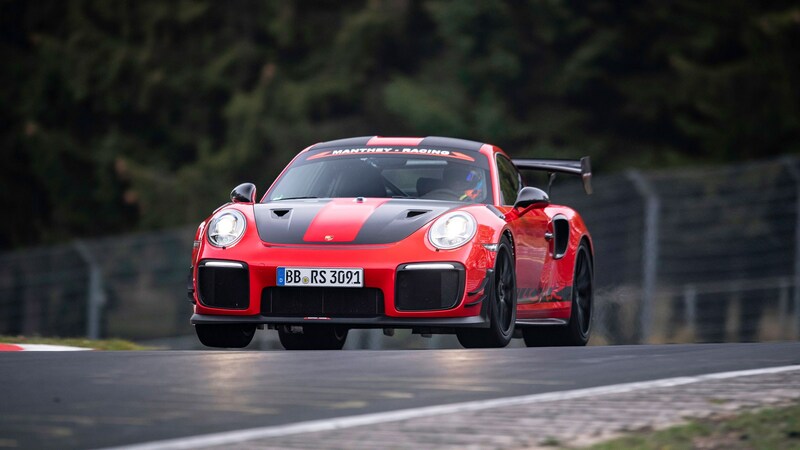 Porsche says the only difference between the car you can buy, and the GT2 RS MR used for the record, is the addition of a bucket seat for safety reasons – and it offered no weight benefits. We’ve not been given prices or finish options for the 911 GT2 RS MR either, but it’s not going to be cheap. Hopefully you can order it in Manthey’s current ‘Grello’ hue, though.